FancyDressShack.co.uk, a UK online retailer of fancy dress costumes, have today announced that this year will be the biggest year for superhero movies, with many films on their way to cinemas around the world and some that have yet to be announced. FancyDressShack.co.uk has announced that this year from 2012 to 2013 will be the biggest year for superhero movies ever. 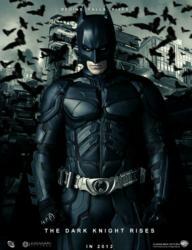 Among those announced are ‘The Avengers’, ‘The Amazing Spiderman’, and of course ‘The Dark Knight Rises’. ‘The Dark Knight Rises’ is the latest Batman film from Christopher Nolan and it looks as though it will also be one of the best Batman’s ever made. The film follows Batman into a fight with the deadly League Of Shadows that attempted to destroy Gotham City in the first film. The latest instalment introduces Catwoman, who will lend the Dark Knight a helping hand, and Bane. Bane is an evil villain that manages to break Batman’s spine in the comic books, and should be a force to be reckoned with in this film. Another superhero that is getting their own movie this year is Spiderman, or ‘The Amazing Spiderman’ to be correct. The new film is a re-vamp of the first 3 Spiderman films and gives the webslinger that edge that he didn’t have in any of those films. The story follows Peter Parker as he becomes the classic Spiderman, but fights a new foe, Lizardman. This enemy is like nothing anyone has ever seen and it’s down to Spiderman to stop him. The Fantastic Four films were the last to be made before the world saw how gritty a hero film could be in Batman Begins. Since that film all new hero movies have taken on a darkness that was previously uncommon. The new Fantastic Four film will be released sometime in 2013 and show signs of being equally as gritty as The Amazing Spiderman at least. Every superhero that has had a movie release lately will be brought together in a fight for the Earth. The Avengers is an innovative film that takes its inspiration from the comic books. All of the superheroes must unite in order to defend humanity from the armies of Loki, one of Thor’s greatest enemies. The film includes Iron Man, Hulk, Black Widow, Hawkeye, Captain America, and Thor. All of these characters will be played by the same actors that were in their original films, and the entire film itself has scope to go anywhere with such a powerful cast of superheroes. Hugh Jackman is set to appear in a new X-men film titled The Wolverine and should continue the story from previous film X-men Origins: Wolverine. The last film saw the story of Wolverine from a child until he lost his memory, now he is wandering with Gambit, another mutant, endlessly trying to retrace his past and should come together finally with Professor Xavier in order to stay true to the previous X-men instalments. All of these films have fans buzzing in anticipation, and many will be looking for ways to get in and see them before anyone else. Dressing up as one of the main characters in a film in some cheap fancy dress could be one way that fans try and show how much they love these films. FancyDressShack.co.uk has witnesses a surge of fans dressing up for such films as Harry Potter, and expects the same level of enthusiasm in 2012 with the number of superhero films due for release. FanckDressShack.co.uk is an online retailer of fancy dress costumes that supplies to people all over the UK. The superhero fancy dress costumes available from Fancy Dress shack are the best looking and most genuine available. All of their costumes from Easter fancy dress to Halloween fancy dress are provided at a low cost to all of their customers.